Lash Bridges make pick up easier by helping to splay out the lashes so they aren’t snug up against each other. This saves on pick up time with both classic and volume techniques. It holds up to 5 strips of lashes, so you can place any size you'll need during your lash appointment. This Lash Bridge has a very useful built-in adhesive well for a speedy lash application process. I love this for both my classic and volume lashes! It’s spreads the lashes out just right to get the lashes off the strip fast and easy! I apply about 3-4 different styles on it and go! Using this lessens my application time by at least 15-30 minutes and you know this is very important!!! How many clients you have in a day .. that’s how many you need !! Awesome product !! Keep up the good work !! Alycia-Mae K. Reviewed by Alycia-Mae K.
I love having everything so close to the lashes. It definitely speeds me up! Also the bridge spreads the lashes nicely making them easier to grab! 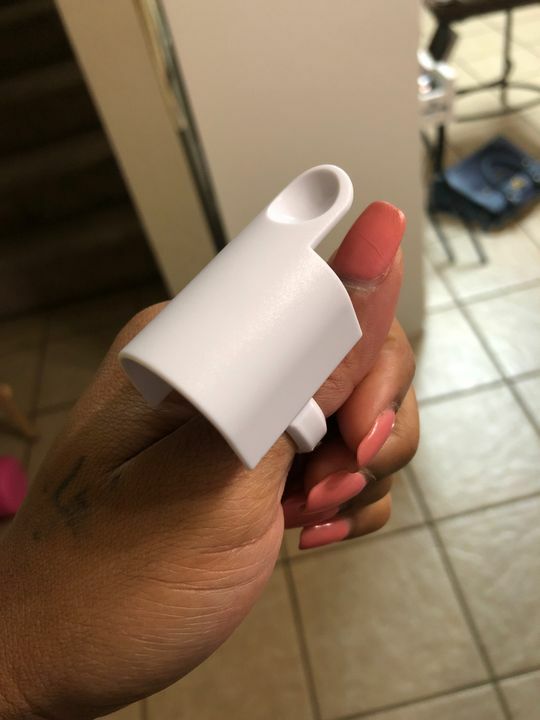 Tasha E. Reviewed by Tasha E.
Once you fiddle around with putting it on different fingers and turning it different ways, you find what works for you. I prefer to have the lashes on the top of my hand, however this saves set up time. I don’t use the adhesive well, too hard to clean for multiple uses. Traci P. Reviewed by Traci P.
I’ve used other lash bridges that didn’t have the attached adhesive plate, and it makes such a difference having the adhesive right there! It’s almost like one movement grabbing the extension and dipping it.